These contributions provide a sweeping rebuttal to a common approach of pastoral ministry, which emerged from the popular mega-church culture and the residue of the modern church growth movement.4 Thankfully, a passionate plea for pastors to recover a historical and biblical view that pastoral ministry is first and foremost a theological calling exists, and contemporary ministers must dispel a mentality seeking to bifurcate pastoral ministry and theological reflection. Pastors are theologians. They may not be pastor-scholars, but they most certainly are theologians as they form congregational doctrine and practice. In addition, and they are the church’s first defense against false doctrine infiltrating the body. One question emerging within these discussions relates to theological models for ministry: If the pastor is the church’s primary theologian, how should he organize ministry to lead his people faithfully from a theologically robust perspective? In other words, is there a theological model within Jesus’ person and ministry pastors can use to integrate into their own ministries? Answers to this question have been varied, but there is a trend to ground a pastor’s ministerial duties in Jesus’ threefold office of prophet, priest, and king. My purpose is to summarize how theologians speak of Christians functioning as prophets, priests, and kings in their Christian witness and the life of the church and overview how some theologians and church leaders advocate for an integration of the prophet, priest, and king model as a ministry typology. Dagg’s remarkable insight of pursuing Christ in a life of humble submission and personal holiness necessarily including faith, hope, and love, and seeing those virtues through Christ’s mediatorial roles proves encouraging and instructive. 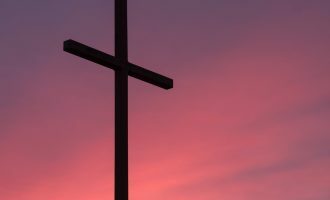 A brief survey across evangelicalism’s broad spectrum reveals similar appeals for believers to grasp the practical implications of Christ’s mediatorial roles. For example, Methodist theologian Geoffrey Wainwright suggests Christ’s three-fold office should be used as an archetypal function throughout the Christian life, and we must “retain or regain a living context in the devotional and liturgical life of the church, for it is in image and rite that archetypes dwell, persist, and exercise their power.”6 Presbyterian Old Testament scholar and theologian Richard Belcher also sees a connection by stating, “The roles of prophet, priest, and king demonstrate how the church can carry out its mission as the body of Christ.”7 Thus, in the individual devotional life and throughout the life of the church body, Christ’ mediatorial roles function in practical ways of personal and corporate holiness and devotion. Believers must not restrict the merits of Christ’s sacrificial work through these roles to soteriology alone; rather, believers model these roles in numerous ways through the power of the Holy Spirit. In his popular Systematic Theology, Wayne Grudem develops a thorough analysis of Christ’s three-fold office from theological and practical perspectives. He contrasts Adam’s pre-fall reality with the believer’s future reign with Christ when considering believers’ roles as prophets, priests, and kings.8 These mediating roles were God’s design for man, and believers can capture a glimpse of their future heavenly fulfillment while here on earth in their fulfilling of these roles in the body of Christ by observing Adam and Eve’s usage of these roles prior to their fall into sin. Grudem understands Adam to function in a prophetic role, pre-fall, in that “he had true knowledge of God and always spoke truthfully about God and about his creation.”9 Additionally, Adam had no need of a sacrificial system for sin, but he and Eve acted as priests in offering their good works to God in thankful allegiance to and humble submission for his generous provision. Adam and Eve displayed their kingly rule through their dominion over the creation under their care. In each of these ways, Adam and Eve enjoyed these roles in their pre-fall relationship with God, which in some way provide a glimpse into a future realization for God’s people in the new heavens and new earth. Because of the fall, however, these mediatorial roles shattered. According to Grudem, human beings no longer served as prophets because “they believed false information about God and spoke falsely about him to others.”10 Additionally, the role of priest was maligned due to the absence of God’s presence because of man’s lust for sin, and humanity’s subjection to the harsh realities of a post-fall world of decay and unrighteous rulers revealed the collapse of the kingly role. As Grudem states, “the nobility of man as God had created him—to be a true prophet, priest, and king—was lost through sin.”11 Although there is a revival of hope at times in the Old Testament through godly men acting in these roles, by and large there was not a full recovery until Jesus’ ministry. Like the 2LC and other reformed theologians before him, Grudem connects Jesus’ role as the perfect prophet because God has disclosed His word fully through Christ. Jesus’ sacrificial gift of himself and His intercessory work for His people evidences His priestly duties, and Jesus reigns now and for eternity as King of the new heavens and new earth. Believers have a participatory role in these offices, according to Grudem, although the participation is in a subordinate manner. Currently, believers accomplish prophetic work through the proclamation of the gospel. Priestly work is viewed through believer’s participation in the “royal priesthood” (1 Peter 2:9), and offering sacrifices of praise to God. Finally, believers currently participate in the kingly work of Christ through the authority given to the church. Grudem believes these current mediatorial roles foreshadow what lies ahead for believers in the new heavens and new earth where these roles will encompass the normal activity of God’s people. In Vern Poythress’s recent book, The Lordship of Christ, he describes from the Westminster Confession of Faith the theological backbone of the doctrine, and then he argues Christ’s “work as Prophet, King, and Priest is perfect. All who believe in him are united to him and receive the benefits of his work; … by being united to Christ, the believer receives the power to function in some ways as imitators of Christ in their own tasks.”12 At that point, Poythress mirrors the work of Grudem in the description of these three offices in the life of believers, but Poythress then applies these truths into a biblical understanding of vocation. He argues, “we can use the categories of prophet, king, and priest in a metaphorically extended sense to see that many human activities involve service to God that imitates the ‘big’ versions of these offices that appear in Scripture.”13 With the prophet, priest, and king model used as application for constructing a biblical model of vocation, one could potentially create an expansive list of practical connections. Clearly, theologians across the evangelical spectrum expand upon Christ’s role as mediator and its implications for the lives of the church and individual believers. In Baptist ecclesiology, the priesthood of believers proves a closely related area of conversation, and those discussions often rest their cases upon the New Testament’s teaching of Christ’s priestly accomplishments for His people. The evidence suggests theologians advocate for a wide variety of applications regarding these truths to believers. In addition, recent developments indicate there has been a shift to link these benefits to the pastoral duties as a ministry typology. For brevity, I will just mention three specific works within the broader Reformed community. Richard Belcher’s approach is broad as he seeks to integrate these roles for ministry. He suggests, “when one understands the roles of Prophet, Priest, and King and how they relate to Christ, it affects preaching and teaching.”14 He addresses each of these roles through the lens of elder responsibility and privilege. Elders accomplish the prophetic role through teaching Scripture, fulfilling the ministry of prayer, and discipleship of future generations. In their priestly roles, elders guard and promote worship gatherings and serve God’s people through prayers, pastoral care, and encouragement. In their kingly duties, elders proclaim Christ’s kingdom and promote the biblical tactics of engaging spiritual warfare. Elders govern God’s people under the authority of Christ and use oversight to engage in restorative discipline. Regardless of whether one fully accepts all that he suggests, Belcher develops a thoughtful and enriching approach to integrating Jesus’ mediatorial roles as a typological structure for elder ministry. In his helpful volume edited with Kevin Vanhoozer, Owen Strachan dedicates a chapter to the prophet, priest, and king model as a biblical theology of the pastorate. Strachan claims to “make the crucial and rather commonsense point that the work of priests, prophets, and kings informs our understanding of the work of the pastor.”15 Strachan builds an excellent case from these specific roles in their Old Testament contexts and using Scripture, he parallels their qualifications and responsibilities to those expected of the church’s elders in the New Testament. These roles offer ministers a theological grid in which ministers can pursue their responsibilities. Strachan writes with acute awareness of how the pastor theologian model is missing from contemporary ministry emphases. He believes the Bible offers pastors a helpful structure that sustains theological longevity and fruitfulness, and envisioning pastoral duties as prophetic, priestly, and kingly duties does not advocate the latest gimmicky ministry fad; instead, it is a recovery of one rooted in sound biblical practice and unquestionably evidenced through historical reflection. Ministers of the new covenant serve as priests by ministering grace, serve as kings by ministering wisdom, and serve as prophets by ministering truth. These ministries are emphatically theological, and they are the work of an ecclesial, public theologian. When this structure is applied to Christology through Jesus’ threefold office, then one can form a ministry typology acknowledging how each office embraces one of the three perspectives. Frame believes “these offices have been seen as models for church officers: the teaching elder (1 Tim. 5:17) represents especially God’s authority; the ruling elder (same verse) God’s control, and the deacon the priestly ministry of mercy.”18 The prophetic office corresponds with the normative knowledge found within sacred Scripture. The priestly office corresponds with existential knowledge of oneself. The kingly office corresponds to the situational knowledge of the world. These statements form the concluding section of Billings work where he calls upon a reframing of ministry through the lens of union with Christ. His approach is a tempered combination of submission to Christ’s sufficiency and a humble responsibility of ministers to integrate Christ’s life in service to others. On the one hand, we should be grateful for a renewed interest in recovering a theological grounding for pastoral ministry. The church has suffered long enough under the shockingly superficial paradigms of modern ministry discourse. Often the televised versions of Christianity are embarrassing at best and blasphemous at worst, and in a rapidly changing world, the church needs a recovery of ministry prizing theological acumen. Thus, I applaud the authors mentioned above for their efforts because pastors can benefit from what is being encouraged. In addition, because of the recent attention of the pastor-theologian model and the conversations it has produced, one can expect further reflection from the emerging generation of ministers graduating out of theologically strong seminaries. While there is much to praise about these shifts, legitimate questions exist regarding this approach. Questions linger concerning whether or not adjusting to this typology is the best summary of the New Testament’s emphasis. At the 2016 annual meeting of the Evangelical Theological Society, Timothy Paul Jones presented a research paper titled, “Prophets, Priests, and Kings Today? Theological and Practical Problems with the Use of the Munus Triplex as a Leadership Typology.”20 Jones argued that the threefold office is indeed a rich biblical structure warranting a serious investigation, but in the end, pastors should not appropriate a prophet, priest, king model as ministry construct. In his critique of this approach, Jones first presented substantive theological and exegetical analysis of the development of these roles throughout the Old Testament. 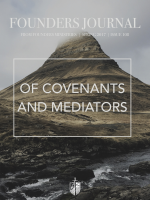 While affirming Christ’s fulfillment of these roles as the mediator between God and man, Jones focuses upon a new covenant view of priesthood where service to God’s people is viewed as a guardianship. Ministers of God’s Word are tasked with the consecrated lives of devotion and service. In this structure, justice is pursued and the good news of the kingdom is proclaimed. While I affirm much of Jones’ critique, I think another important factor must be addressed if pastors are going to adopt this typology. 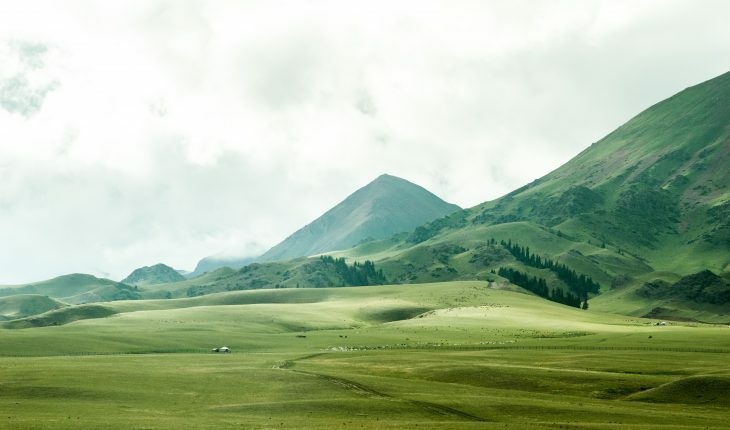 There may be nothing inherently wrong with pastors understanding their roles through the mediating roles of prophet, priest, and king, but pastors embracing this typology as a ministry construct must show how it relates to biblical shepherding. The roles of prophet, priest, and king are already subsumed under a biblical understanding of pastor as shepherd. In other words, while it is necessary to encourage pastors to embrace a theological stewardship of their ministries, we should urge them to do so as they “shepherd the flock of God” that is among them (1 Peter 5:2). The shepherd’s role includes everything that the above authors seek to accomplish through using the threefold office typology. As I understand it, one danger of adopting this typology could be the professionalization of ministry. If prophetic work remains isolated from priestly work due to skill sets and local church complexities, then kingly work will seem harsh and will be unwelcomed. In other words, a danger of this methodology is that one could adopt it and miss biblical shepherding, when biblical shepherding, properly understood, necessarily includes each of these roles. Timothy Witmer’s contribution is crucial in this discussion. In his work, The Shepherd Leader, he argues that biblical shepherds function in four primary ways: shepherds know, feed, lead, and protect their sheep.22 Every role that a pastor would want to practice through the lens of prophet, priest, and king typology can be seen best as a shepherd’s normal duties. Through Witmer’s “comprehensive matrix for ministry,” shepherds know their sheep, and this gives shepherds the wisdom necessary for feeding, leading, and protecting. To be clear, a proponent of the prophet, priest, and king typology for ministry could claim that these roles conceptualize feeding, leading, and protecting, but my only concern is that the clear New Testament emphasis of shepherding remain the lens through which pastors minister. It is easy to be discouraged with the proliferation of ungodliness in our day. Depending on which statistics are in view, Christianity is at best in a holding pattern, and at worst, it is declining in the U.S. 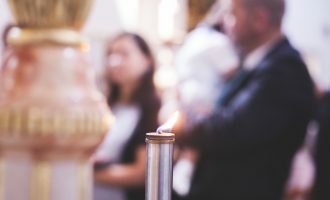 While churches must give considerable attention to the factors that contribute to the current status of our witness, one thing is clear in Scripture. Pastors are to shepherd their flocks until the Chief Shepherd appears. When he does appear on that glorious day, Jesus Christ, the great mediator between God and man, will gather his bride that he has been ministering to through his under shepherds. In the meantime, ministers must embrace the reality of their theological calling to be pastor-shepherds who know, lead, feed, and protect the sheep. These duties are perfected through Christ’s threefold office, and they are in some way administered through duties of shepherds. After all, all the redeemed share in the joys and benefits of Christ’s threefold office. 1 Kevin Vanhoozer and Owen Strachan, The Pastor as Public Theologian: Reclaiming a Lost Vision (Grand Rapids, MI: Baker Academic, 2015). 2 Gerald Hiestand and Todd Wilson, The Pastor Theologian: Resurrecting an Ancient Vision (Grand Rapids, MI: Zondervan, 2015). Also, Hiestand and Wilson followed with an edited volume that addresses the pastor theologian from the perspective of church leadership constructs. See Gerald Hiestand and Todd Wilson, Becoming a Pastor Theologian: New Possibilities for Church Leadership (Downers Grove, IL: IVP Academic, 2016). 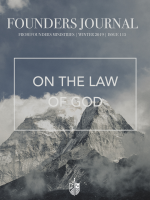 3 Tom Ascol, “The Pastor as Theologian.” Founders Journal. Winter 2001, 1–10. 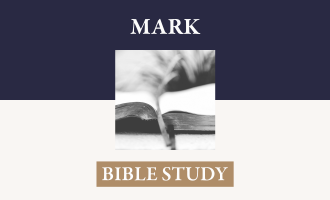 4 One could also include the ministries of Mark Dever (9 Marks) and Brian Croft (Practical Shepherding) as examples of incorporating intentional theological reflection within the church from a shepherding perspective. Also, one could see Al Mohler’s helpful treatment in “The Pastor as Theologian,” in A Theology for the Church, edited by Daniel L. Akin (Nashville, TN: 2007), 927–934. 5 J. L. Dagg, Manual of Theology (Harrisonburg, VA: Gano Books, 1982), 231. 6 Geoffrey Wainwright, For Our Salvation: Two Approaches to the Work of Christ (Grand Rapids, MI: Eerdmans, 1997), 173. 7 Richard Belcher, Prophet, Priest, and King: The Roles of Christ in the Bible and Our Roles Today (Phillipsburg, NJ: P&R Publishing, 2016), 160. 8 Wayne Grudem, Systematic Theology: An Introduction to Biblical Doctrine (Grand Rapids, MI: Zondervan, 1994), 629–630. 12 Vern Poythress, The Lordship of Christ: Serving our Savior all of the Time, In all of Life, With all of our Heart (Wheaton, IL: Crossway, 2016), 130. 14 Belcher, Prophet, Priest, and King, 165. 15 Owen Strachan, “Of Prophets, Priests, and Kings: A Brief Biblical Theology of the Pastorate,” in The Pastor as Public Theologian: Reclaiming a Lost Vision (Grand Rapids, MI: Baker, 2015), 39. 17 John Frame, The Doctrine of the Knowledge of God (Phillipsburg, NJ: Presbyterian & Reformed, 1987), 163. 18 Frame, “A Primer on Perspectivalism,” paragraph 34. 19 J. Todd Billings, Union with Christ: Reframing Theology and Ministry for the Church (Grand Rapids, MI: Baker, 2011), 165. 20 I moderated this session, and Jones graciously offered all attenders a copy of his paper. References to his argument are from the paper he provided. Audio of the session can be found at etsjets.org. 21 Timothy Paul Jones, “Prophets, Priests, and Kings Today? Theological and Practical Problems with the Use of the Munus Triplex as a Leadership Typology” (lecture, 2016 ETS Annual Meeting, San Antonio, TX, November 15, 2017), 3. 22 Timothy Z. Witmer, The Shepherd Leader: Achieving Effective Shepherding in Your Church (Phillipsburg, NJ: Presbyterian & Reformed, 2010).